Join EduCulture this summer for an authentic farm to table experience in the fields where your food is grown. Enjoy the pleasure of connecting place and taste, situated on the farmland where the ingredients of your meal are raised. 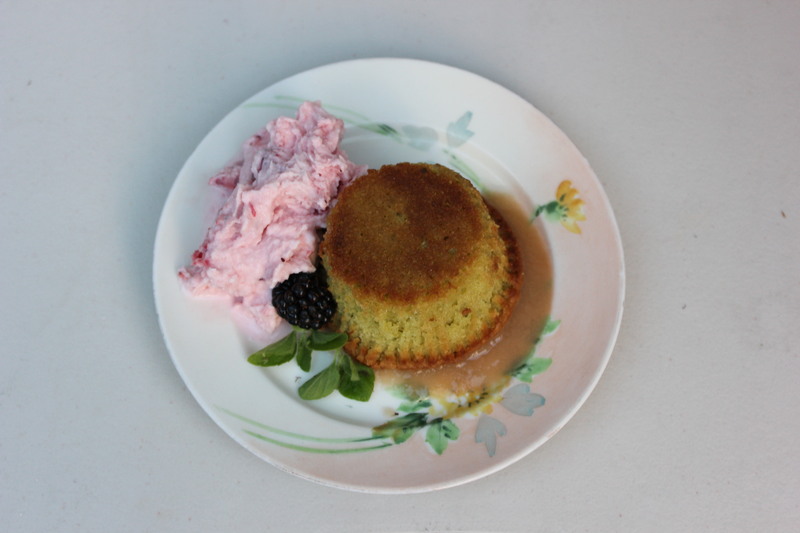 The dinner and dessert will feature what’s ripe and sweet within our regional foodshed at the height of the summer season. 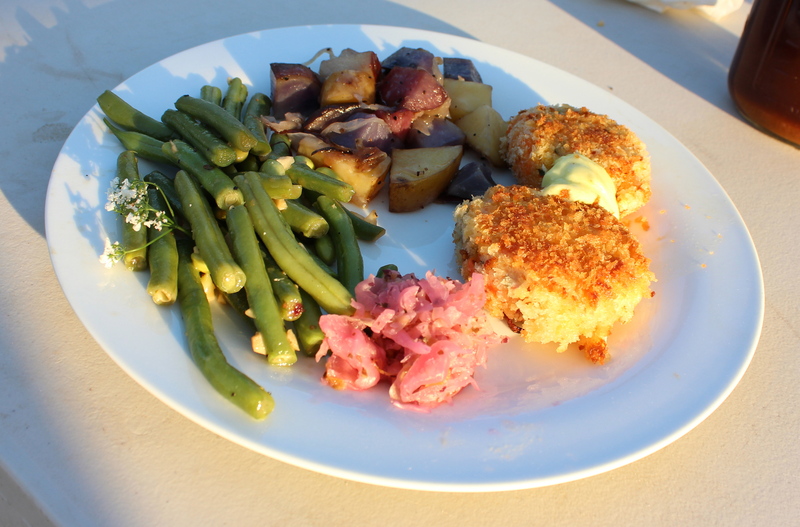 This program is part of EduCulture’s effort to respond to a call for community based edible experiences grounded in tasting what we most need to learn about our local and regional foodshed. 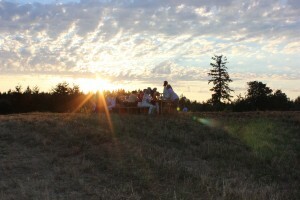 This foodshed to fork dinner is part of a series of seasonal dinners EduCulture is developing to bring people together around the wild and cultivated food traditions of our Pacific Northwest bioregion, some call Salmon Nation, including from our partner farms. EduCulture is partnering with our Chef in Residence Leslee Pate, of The Food Shed, and Local Guest Chef, Tad Mitsui, to help shape and deliver a menu built on what is seasonal and regional, all sourced locally, fairly and sustainably. Enjoy a locally grown, farm to fork to cork dinner on Bainbridge Island. 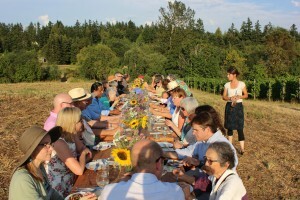 Dine among the beautiful fields of Bainbridge Vineyards and Suyematsu & Bentryn Family Farms. 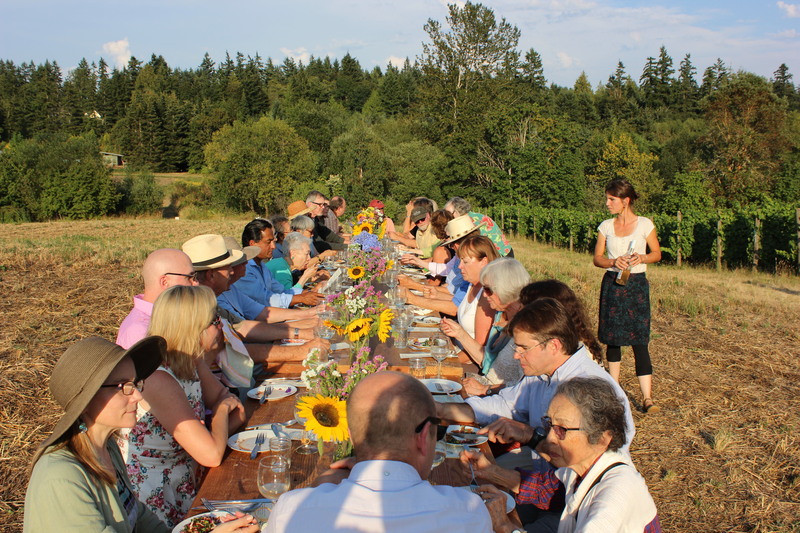 The meal will be prepared and presented featuring the ripeness and abundance of the summer season locally sourced from Laughing Crow Farm, Butler Green Farms, Bainbridge Island Farms, Paulson Farms, and other local wild and cultivated landscapes. Each course will be paired with slow wine, locally grown and produced by Bainbridge Vineyards. Take a walking tour among the fields that serve as the source of your meal. Appreciate the terroir of your wine while standing among the rows of vines that produced the grapes. 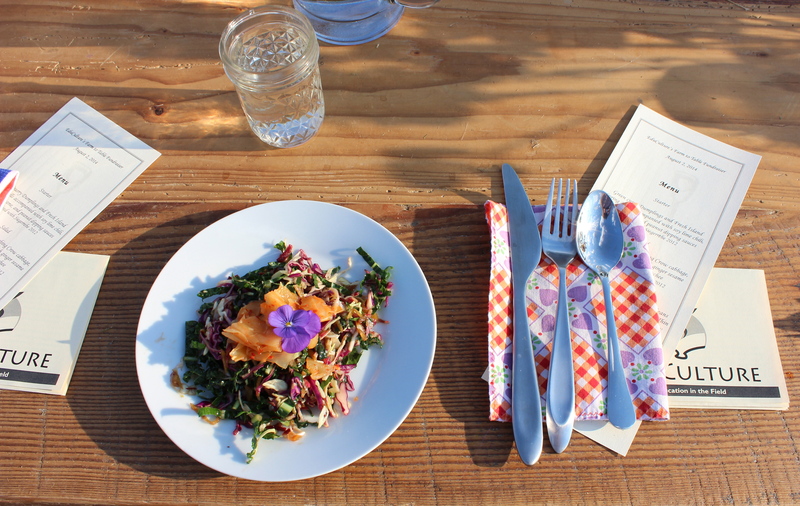 Be a part of seeding & supporting EduCulture’s Edible Education Programs in 2015-16. 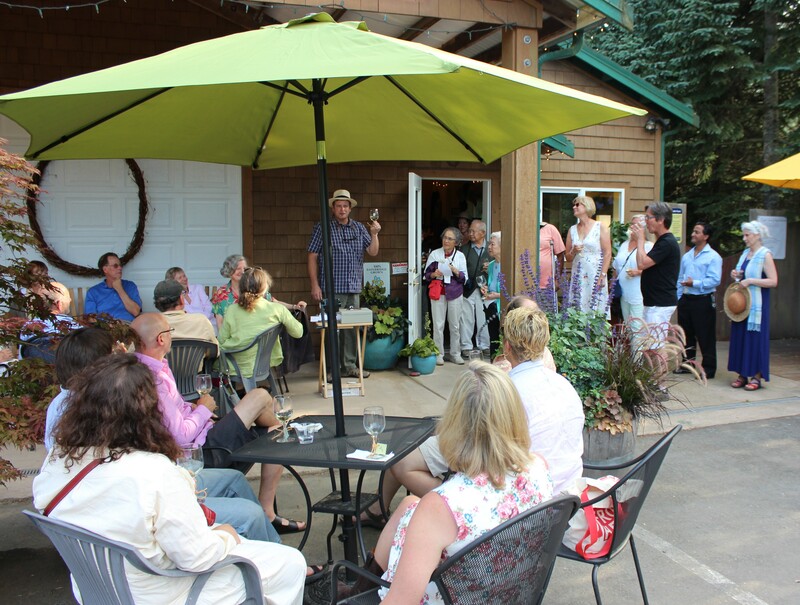 This special event is a farm-raiser for our 2015-16 Edible Education Programs. $95 per person, a portion of which will be tax deductible. Bring your friends, family, or even better – gift someone a place at the table. To reserve your place at the table, please contact EduCulture at 206-780-5797 or admin@EduCultureProject.org. Seating is limited. This entry was posted in Edible Democracy, Events and tagged Farm to Table Dinner by Managing Director. Bookmark the permalink.